Is Counseling An Effective Solution For The People Suffering From Bipolar Disorder? The world has evolved a lot. Technologies have continued to advance in a dizzying pace. Life has become faster than ever before. Despite all these positive changes and developments, there are certain points you cannot ignore and one of which is the alarming growth rate of mental health issues. In a life full of convenience and entertainment, people are becoming more and more lonely and various kinds of pressures are making them prone to mental health issues. The problem is, to a large section of the population, talking about such issues and seeking professional help on the matter is still considered to be taboo. Hence, the topic of Individual counseling is not as discussed as it should be. Some Basic Information – It may sound a little astounding, but the types of mental health issues are quite huge in number and the line differing them from one to the other is often blurred. In such a situation, just because you are experiencing certain things just like your friend does not mean, both of you are suffering from the same ailment. So, if you are feeling a little down and things seem to be not looking up, then it is important to seek the help of a professional and ensure that he/she is capable of providing the assistance you need. Getting A Little Detailed – Amongst the various mental health issues, you can face, bipolar disorder is fairly common. As the name suggests, the condition normally consisting of extreme mood swings, feeling full of energy one day and complete desolate the next. One of the biggest problems regarding mental health conditions is the fact that people normally tend to either ignore them or simply think that they do not need any help. If you are one of those people who tend to think this way, then it is time to evaluate the position and seek professional help as soon as possible. One of the best and most effective treatment methods for bipolar disorder is counseling. 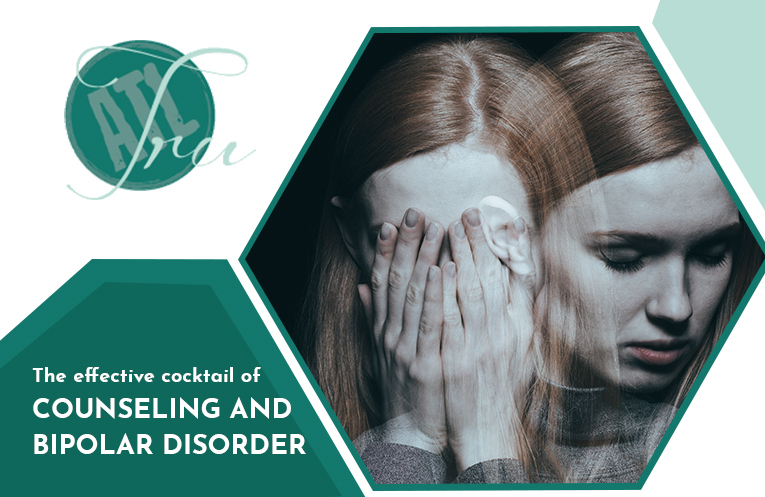 So, if you have been diagnosed with the condition and are wondering how to deal with the issue and get better, then it is time to go for Individual counseling. There are medicines available and doctors do prescribe them to control the mood swings and help you, but therapy is the solution that is better than any medicine. It is true that you may not feel like talking at all on some days, on others stopping may seem to be the biggest problem, but either way, you will not be able to deny the effect the process will provide. So, it can be said that indeed therapy is an effective solution for people suffering from bipolar disorder. Keeping this in mind and seeking help accordingly will be the right way to deal with your condition if you are diagnosed with the same.